Removes part of the stomach and creates a new, tube-shaped stomach or “sleeve.” This is sometimes referred to as a “weight loss sleeve.” Surgery is irreversible. In most cases, your bariatric surgeon will perform this gastric sleeve procedure laparoscopically, making several small 1/4- to 1/2-inch abdominal incisions. Two to four weeks of recovery but the gastric sleeve surgery is more than an operation or procedure — it’s a commitment to living a healthier lifestyle. Following surgery, we will help you develop a four-phase, post-gastric sleeve surgery diet for better recovery and instructions you will have to follow. Patients who undergo gastric sleeve surgery on average lose more than half their excess weight. Gastric sleeve surgery results include an improvement or cure to obesity-related health problems, as well as a decrease in feelings of depression. The upper body lift is performed using intravenous sedation combined with local anesthesia while patients remain sleep during the procedure.The exact procedure for an upper body lift varies widely due to the different needs of patients. In general, it begins with an arm lift, which requires an incision on the inner aspect of the arm. The incision may go from the elbow to the underarm, depending on how much skin needs to be removed. Additional incisions are made around the areolas and down the crease under the breasts for the breast lift and near the bra line for the back lift. Excess skin is removed via the incisions, and the underlying tissue is recontoured. The remaining skin is pulled to tighten it, and then the incisions are closed up and sometimes drains are inserted. It’s important that the surgical incisions are not subjected to excessive force, swelling, abrasion or motion during the time of healing. 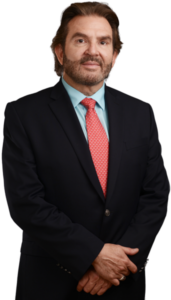 Dr. Ricardo Vega will give you specific instructions on how to care for yourself. Lower body lift is performed using intravenous sedation combined with local anesthesia while patients remain sleep during the procedure. Lower body lifts are surgical procedures and they require extensive incisions. Incision length and pattern depend on the amount and location of excess skin to be removed, as well as surgical judgment. One common technique of complete lower body lift uses incisions similar to a bikini pattern to tighten the abdomen, groin, waist, thigh and buttock in one procedure. An incision around the body removes an apron of excess skin and fat and repositions and tightens tissues.Surgical body lifts may require liposuction to achieve an improved contour.